Local, indigenous food typical for an area often proves more nutritious than store-bought imported varieties. Through shorter supply chains, the sale of these food items also benefit local farmers. However, such foods are often woefully underutilized. Puffing or popping can help make certain local foods more attractive as snacks - providing healthy alternatives to imported fast food and sustainably using biodiversity, while boosting local incomes. 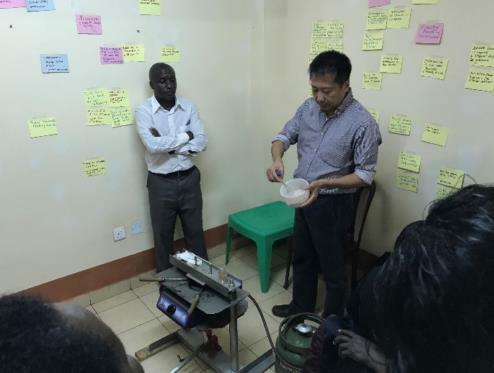 Use of this technology encourages consumption of underutilized locally available cereals and legumes through value addition. High consumption of energy-dense snacks like crisps, confectionaries and french fries has resulted in a rise in non communicable diseases among adults and children in Kenya. In additon to being unhealthy, these snacks are costly, thus posing a financial strain on many low and middle income households. 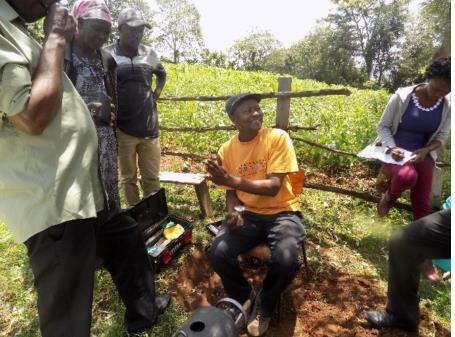 Local farmers and salesmen also benefit less from imported foods as profits are made further up the value chain. While healthy alternatives are available in the form of local plant species, they are often less known and rarely used as snacks. Underutilizing these food sources leads to an underappreciation of local biodiversity and fewer incentives to safeguard and sustainably use these resources. Bioversity International works hand in hand with the community and the company DK engineering, furtering the availability and uptake of the intervention. Bioversity serves as the link between the two other partners, whereas the manufacturer provides the technical know how of how to use and maintain the puffing & popping machinery. In addition to linking the two stakeholders, Bioversity also provides scientific evidence of the nutrient content and benefits of the cereals. This done through research and publication. The organization also provides nutrition education to the participants of training and uptake interventions. 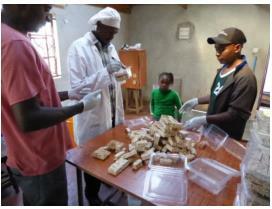 The individuals and groups using the machine inform their various communities about the financial and nutritional benefits of the initiative - both for income generation as well as consumption of its products, the crackers and popped cereals. 1. Healthy snacking by both adults and children. 3. Dietary diversity by encouraging consumption of otherwise neglected foods. 4. Conservation of local food resources. 5. Creating an evidence base for the value of local snack alternatives. 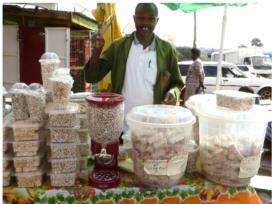 According to one of our entrepreneurs, Mr. Gichangi, puffing is a promising and exciting business initiative. Compared to his other business venture that he is still engaging in concurrently with puffing, the latter is more profitable, bringing in more than double the returns! He is currently growing a cereals business that is complementing the puffing work. 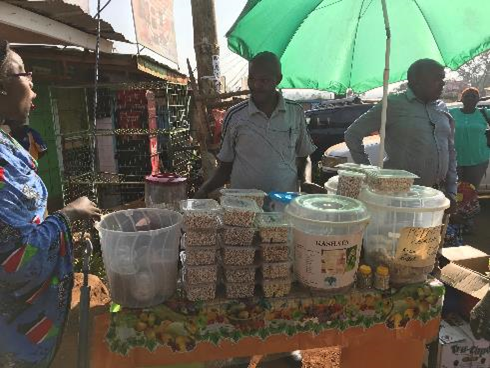 Mr. Gichangi is working towards being a fully fledged puffing entrepreneur in order to enjoy the profits, while at the same time provide nutritious snacks to the community.